The stellar debut of the Canadian Stephen Maar in the Italian SuperLega UnipolSai did not go unnoticed. In fact, the 22-year-old enjoyed a fantastic 2016 – surely the best one in his career so far. The offer to play in Padova and to become a full-time professional was just the tip of the iceberg for Stephen Maar. 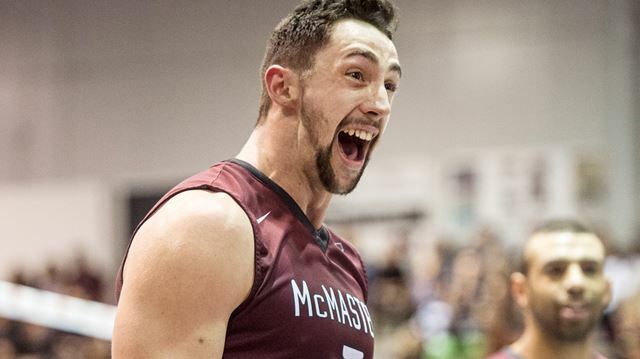 Although Maar and his teammates at McMaster University, nicknamed Marauders, lost the CIS Championship final, the Canadian college league, against the Trinity Western Spartans (participant at the 2011 FIVB Club World Championship), the outside attacker was the Marauders’ top scorer and grabbed the attention by being elected in the CIS All-Canadian team. He was enlisted by Glenn Hoag in the wide roster of the senior national team for the 2016 World League and later selected as alternate for the squad representing Canada at the Olympics. Probably a bit unfortunate for the youngster, you might say, but this only outlines his way ahead and the huge potential the lad possesses. “I’ve wanted to be a pro since I was 14. I’ve kind of always had that in the back of my mind. For me, it’s the culmination of all of my training. I’ve been thinking about, dreaming about since I was in the sixth grade, it’s pretty special,” said Maar upon signing with Kioene Padova in May, 2016. Padova is among the clubs with rich tradition in Italian top-tier volleyball and are often a tough opponent. They do not enjoy a season as good as the previous one, however, having won only four of their twenty encounters so far in the league. But this never prevented Stephen Maar from showing his true colors. The Canadian has been the driving force behind his team’s good performances and their highest scorer so far, finishing with the largest number of points in most matches. Maar is in top positions in the best receivers, best scorers and best attackers rankings and has shown himself as a very promising all-around player. Maar is a very athletic and powerful outside attacker. For some with these qualities it comes as almost natural that he has a great jump serve and often causes trouble for the opposition’s receivers. His reach is very decent and helps him to compose a good block height. Reception efficiency is usually a problem for younger players, yet the Canadian has done pretty well against the tough and versatile servers in the Italian league. 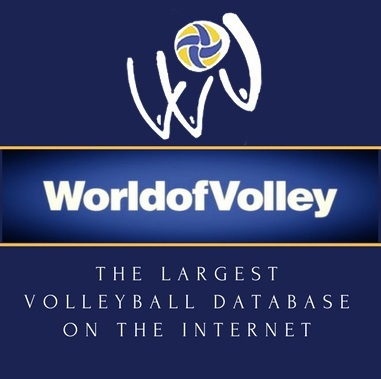 Numbers show that the 22-year-old has the necessary arsenal to play successful, competitive volleyball for many years and in a variety of championships. What will come with experience is better decision-making, especially when facing a well-organized block. Glenn Hoag has done a tremendous job with the Canadian national team and has seen it rise to number eight in the world ranking. The college volleyball program works and there are now players with contracts in leading European leagues and you can bet on them with free codes from Bet365. With some of the veterans leaving after the Rio Games, where Canada made it to the quarterfinals and out of a “death” preliminary pool, players like Stephen Maar will be relied on to maintain good international standards. (Quote from Rains)I would take Maar over Kovar but I am a biased Canadian haha. Who do you see as the starters if they have a trio of Clevenot/Petric/Kovar?